I’m super excited to announce we will have a ღ Creative GIRL ღ playshop for girls ages 9 to 14 during the last week of track out, Monday October 5th through Wednesday October 7th from 10 am to 2 pm in Northeast Raleigh. We’ll gather to play with clay, experiment with bookmaking, make jewelry, paint AND generate a fun and thoughtful kindness campaign. For more information and to register visit this linky. 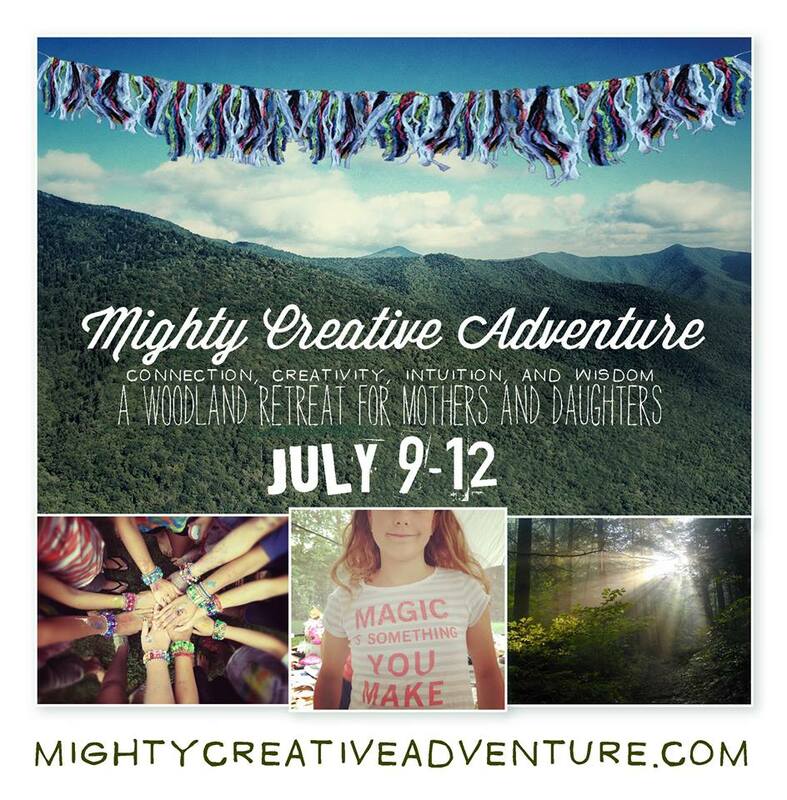 Suggested registration is $125 per girl. There is also a creative pay-what-you-can scholarship option that will not alienate girls due to financial constraints. 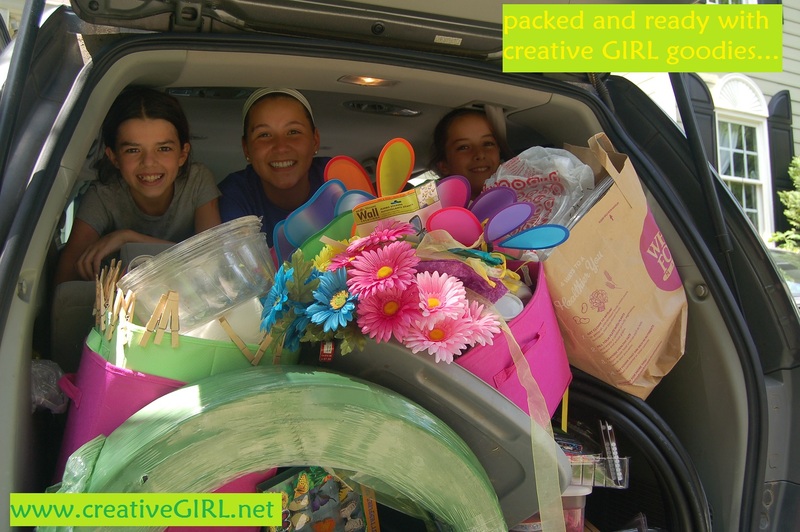 Creative GIRL was created in 2013 to provide a safe and unique experience for girls to gather outside of family and school to share and listen, to honor creativity, self and otherly kindness, expression and empowerment. Creative GIRL playshops hold talking circles and explore multiple expressive art forms like journaling and painting, and promote kindness in action. www.creativegirl.net or email Becky at creativegirlnet@gmail.com. It would be my great blessing to celebrate your daughter at our next program. 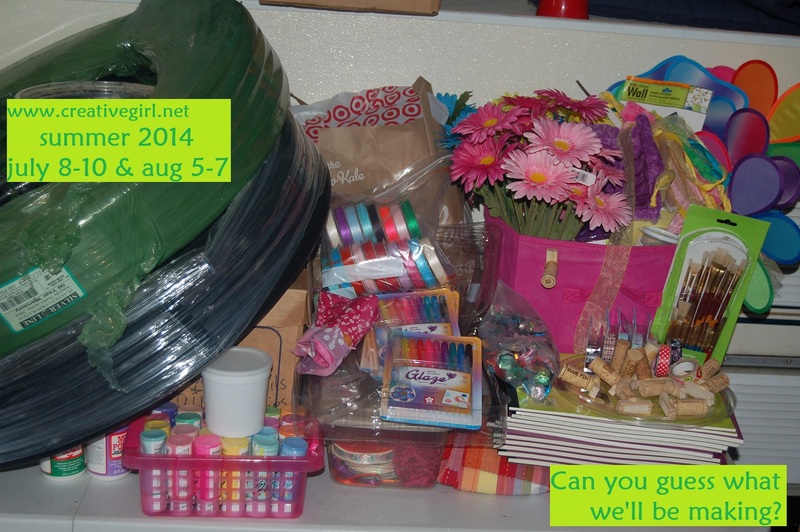 creative girl july session: ready, set GO!!!! The night before every creative GIRL I get butterflies… like it’s Christmas!!!! kind of butterflies. I get to set up a creative party for 12 girls. Art supplies, material, crafts AND upcycle materials. Then for 3 days I get to watch the girls make stuff, share with each other, and help one another. 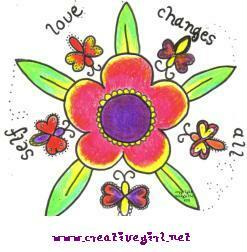 We talk about kindness, creativity and being our true selves. This is my job. My sacred business. My JOY! P.P.S. If you likey please join our joyfilled facebook page. P.P.P.S couldn’t resist … had to share this picture of creative goodies… hope it inspires you to GO MAKE SOMETHING!!!! These playshops offer painting, journaling, creating, kindness activities, music and sunshine, with daily sharing circles and some activities outdoors. Cost $160 per girl*, includes all supplies except t-shirt, bagged lunch, personal photos and a few other simple household items. List will be provided via email prior to playshop. Playshops held in Raleigh, off 540 Louisburg Road exit. *If you want your daughter to experience Creative GIRL and your family finances are overly burdened, you are invited to contact me for more information about our pay-what-you-can program.No girl will be denied Creative GIRL due to family finances, because there are far too many wonderful things that our children would benefit from that are made inaccessible due to the expectation of money. If you are in a position to support us by purchasing supplies, or sponsoring a girl this summer, we accept donations to cover girls’ expenses via paypal link on right or you can get in touch with me or check out the support page. Playshops are for rising 6th to 9th grade (ages 10-15) girls. Questions, comments, requests? Email me. you are your own shine.